WASHINGTON — Jared Kushner's application for a top secret clearance was rejected by two career White House security specialists after an FBI background check raised concerns about potential foreign influence on him — but their supervisor overruled the recommendation and approved the clearance, two sources familiar with the matter told NBC News. The official, Carl Kline, is a former Pentagon employee who was installed as director of the personnel security office in the Executive Office of the President in May 2017. Kushner's was one of at least 30 cases in which Kline overruled career security experts and approved a top secret clearance for incoming Trump officials despite unfavorable information, the two sources said. They said the number of rejections that were overruled was unprecedented — it had happened only once in the three years preceding Kline's arrival. The sources, who spoke on condition of anonymity because of the sensitive nature of the information, said the Trump White House attracted many people with untraditional backgrounds who had complicated financial and personal histories, some of which raised red flags. Kushner's FBI background check identified questions about his family's business, his foreign contacts, his foreign travel and meetings he had during the campaign, the sources said, declining to be more specific. The White House office only determines eligibility for secret and top secret clearances. As a very senior official,Kushner was seeking an even higher designation that would grant him access to what is known as "sensitive compartmented information," or SCI. That material makes up the government's most sensitive secrets, including transcripts of intercepted foreign communications, CIA source reporting and other intelligence seemingly important for Kushner, whose job portfolio covers the Mideast and Mexico. The CIA is the agency that decides whether to grant SCI clearance to senior White House officials after conducting a further background check. After Kline overruled the White House security specialists and recommended Kushner for a top secret clearance, Kushner's file then went to the CIA for a ruling on SCI. After reviewing the file, CIA officers who make clearance decisions balked, two of the people familiar with the matter said. One called over to the White House security division, wondering how Kushner got even a top secret clearance, the sources said. Top secret information is defined as material that would cause "exceptionally grave damage" to national security if disclosed to adversaries. The sources say the CIA has not granted Kushner clearance to review SCI material. That would mean Kushner lacks access to key intelligence unless President Trump decides to override the rules, which is the president's' prerogative. The Washington Post reported in July 2018 that Kushner was not given an "SCI" clearance. A CIA spokesman declined to comment. "What you are reporting is what all of us feared," said Brad Moss, a lawyer who represents persons seeking security clearances. "The normal line adjudicators looked at the FBI report…saw the foreign influence concerns, but were overruled by the quasi-political supervisor." NBC News was unable to reach Carl Kline for comment. Kushner's lawyer, Abbe Lowell, had no comment. The White House did not respond to a request for comment. The sources said they did not know whether Kline was in communication with senior political White House officials. They say he overruled career bureaucrats at least 30 times, granting top secret clearances to officials in the Executive Office of the President or the White House after adjudicators working for him recommended against doing so. The reasons for denying a clearance can include debts, a criminal past or questions about foreign entanglements. Anything in a person's background that could make them vulnerable to blackmail can be a factor. Kushner's application followed the normal path for security clearance. It passed a "suitability review" in the White House and then went to the FBI for a background investigation. Following the FBI investigation, the case went back to the White House office of personnel security, where a career adjudicator reviewed the FBI information, including questions about foreign influence and foreign business entanglements, the sources said. The Washington Post, citing current and former U.S. officials familiar with intelligence reports on the matter, reported last February that officials in at least four countries had privately discussed ways they could manipulate Kushner by taking advantage of his complex business arrangements, financial difficulties and lack of foreign policy experience. 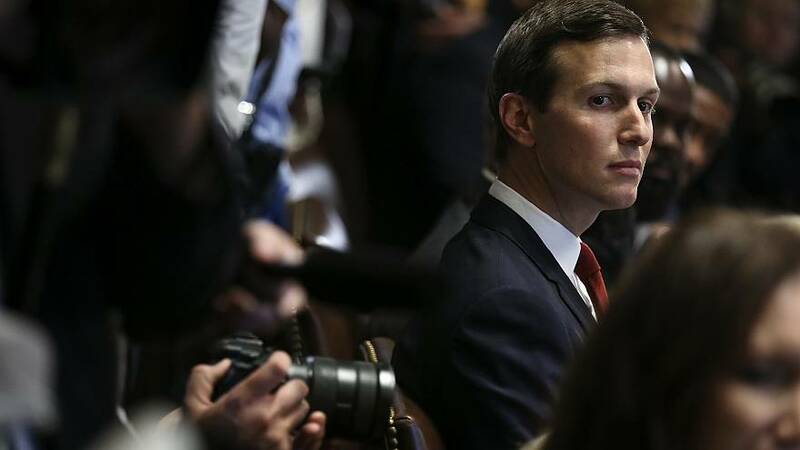 Among those nations discussing ways to influence Kushner to their advantage, according to the current and former officials, were the United Arab Emirates, China, Israel and Mexico, the Post reported. On the basis of potential foreign influence, the adjudicator deemed Kushner's application "unfavorable" and handed it to a supervisor. The supervisor agreed with the "unfavorable" determination and gave it to Kline, the head of the office at the time, who overruled the "unfavorable" determination and approved Kushner for "top secret" security clearance, the sources said. "No one else gets that kind of treatment," Moss said. "My clients would get body slammed if they did that." Sources also told NBC News career employees of the White House office disagreed with other steps Kline took, including ceasing credit checks on security clearance applicants. The sources said Klein cited a data breach at the credit reporting firm Equifax. Kline is the subject of an October 2018 Equal Employment Opportunity Commission complaint viewed by NBC News that was filed by Tricia Newbold, a current employee. 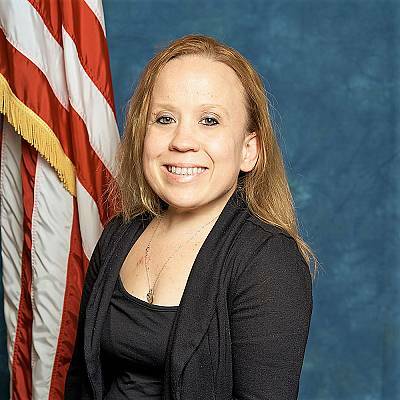 Newbold has a rare form of dwarfism and the complaint alleges Kline discriminated against her because of her height. Her complaint states that in December 2017, Kline moved security files to a new location which was too high and out of her reach and told her, "You have people, have them get you the files you need; or you can ask me." Tricia Newbold has filed an EEOC complaint against Carl Kline, alleging he discriminated against her because of her height. Her attorney, Ed Passman, told NBC News, "My client has been subjected to ongoing discrimination by a ruthless supervisor who was destroying the personnel security division by granting security clearances over the objections of civil servant recommendations." In a letter to her family obtained by NBC News, Newbold described Kline's behavior towards her as "aggressive," involving "emotional and psychological abuse" starting in July 2017, a few months after he took over the office. In the same letter, Newbold wrote that she also had serious concerns about how Kline "continuously changes policy" and makes "reckless security judgments". She added that Kline's decisions "if disclosed, can cause embarrassment and negative attention to the administration." Newbold raised concerns about Kline's behavior with her second level supervisor regarding his "hostility and integrity" according to the EEOC complaint. The EEOC confirmed to Newbold's attorney that an investigation of her claims was conducted. He is now waiting to hear if his client will be granted a hearing. The House Oversight Committee, now run by Rep. Elijah Cummings, D.-Md., announced yesterday that it is digging into how Kushner obtained his security clearance.